Just two weeks ago, the Boston-based Conservation Law Foundation filed a lawsuit against ExxonMobil for endangering Massachusetts communities along the historic Mystic River through its activities at the Everett petroleum storage terminal. This is the first nongovernmental lawsuit in the nation to take a petroleum company to task for its decades-long campaign to discredit climate science. CLF maintains that the petro giant has violated both the federal Clean Water Act (the primary federal law in the United States governing water pollution) and the Resource Conservation and Recovery Act (the principal federal law in the United States governing the disposal of solid and hazardous waste), both landmark laws first enacted in the 1970s. Each statute can help significantly to protect the health and safety of waterfront communities in the face of climate change. CLF began investigating the corporation’s activities after InsideClimate News exposed the petroleum giant’s cover-up in a 2015 series of articles. The organization’s study found Exxon to be endangering New England communities by deliberately deceiving regulators over the climate-readiness of its facilities in the Northeast. “ExxonMobil’s strategy of publicly denying the very risks its scientists have known for decades has direct impact on Greater Boston communities. 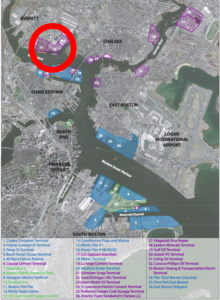 ExxonMobil knowingly and unlawfully misled regulators about whether its Everett facility can withstand rising seas, more intense precipitation, and other climate impacts without spewing oil and other toxic pollutants into adjoining neighborhoods, the Mystic River, and the Boston Harbor…. 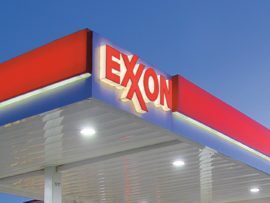 For more than three decades, ExxonMobil has devoted its resources to deceiving the public about climate science while using its knowledge about climate change to advance its business operations. Communities were put in danger and remain in danger, all to cut costs for one of the most profitable corporations in the world. 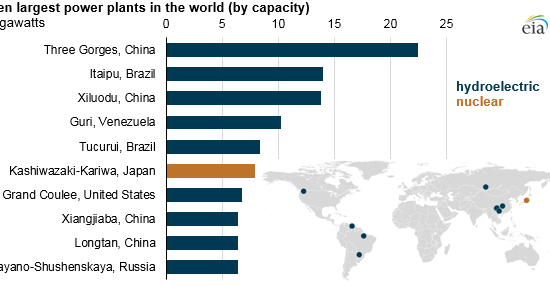 Note that ExxonMobil differs from most other oil and gas companies in its blatant and protracted denial of the fossil fuel connections to climate change. Nationally renowned attorney Allan Kanner of Louisiana-based Kanner & Whiteley, which has represented states and other plaintiffs in landmark cases against major oil companies (including claims arising from BP’s Deepwater Horizon spill in the Gulf of Mexico), will lead the trial team for CLF. See a copy of CLF’s filing here. In other investigations, the federal Securities and Exchange Commission is investigating how ExxonMobil values its own assets, considering the regulatory risks associated with sharply lower recent oil prices and new (and pending) climate change regulations. 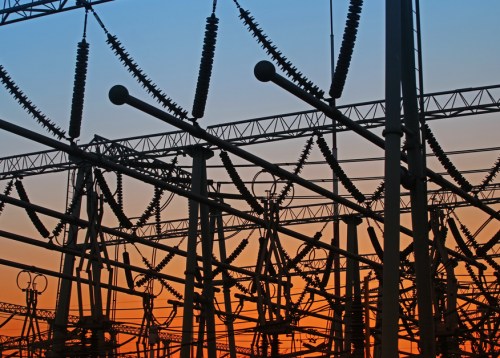 Overvaluation, along with stranded investor assets, could greatly affect the company’s worth. Shareholders have begun raising questions about this publicly. Also, attorneys-general in some states have begun probing whether the company’s historic and current reporting to investors and the general public reflects what Exxon climate scientists knew and reported to management about climate change decades ago. A coalition of at least 17 AGs is seeking accountability for ExxonMobil’s campaigns to deceive customers, shareholders, and the public about climate risk. Among them are California’s Kamala Harris and New York’s Eric Schneiderman, as well as Massachusetts AG Maura Healey. Retaliating, some attorneys general of more conservative states (e.g., Texas and Alabama) have now entered the fracas on ExxonMobil’s side. It’s interesting that Exxon has just invested a publicly touted $15 million at the University of Texas at Austin’s Energy Institute for “emerging technology development.” At this late date in the climate crisis, throwing such considerable resources into proven greenhouse gas reduction solutions seems a more appropriate strategy. Legal actions in other states are likely to follow the Massachusetts suit as the nation’s environmental tacticians begin to target companies facility by facility instead of going after entire corporations.